Vineyards & Discoveries: Destination Cahors Malbec in south-west France! 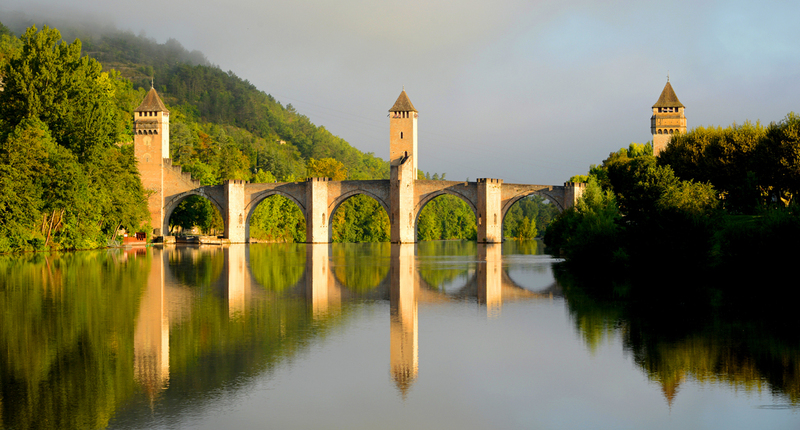 Travel through the kingdom of Cahors, the wine king of south-west France. Follow the winding roads, the vineyards bathed in golden light, the meandering pathways of the Lot River. During your voyage, the grand sweep of human history intertwines with the intimate local stories of the winemakers’ families, who welcome you to their vineyards to share the fruits of their passion for the wines of France’s south-west. Labelled Vignobles & Découvertes (Vineyards & Discoveries), the ‘Destination Cahors Malbec’ route circles the wine district of Cahors. The various stages of this trip take you through historic sites, magnificent countryside, and vineyards. The journey starts in Cahors, the regional capital and a UNESCO World Heritage site, and takes you all the way to the authentic golden-stoned villages of the Lot Valley, one of the most beautiful regions in France, at the moment of the year when the vineyards are at their best. Phone: +33 5 65 23 82 35.